With yoga and meditation offered daily at our luxury women’s retreat, we will have you feeling blissed out in no time. 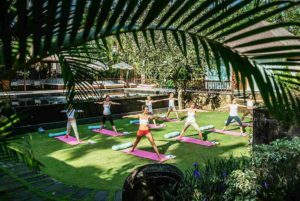 Ideal for those who enjoy yoga travel destinations with distinction, our yoga instructors are certified and the best in their field with years of experience. Yoga and meditation will be offered as a blend of morning and afternoon sessions. 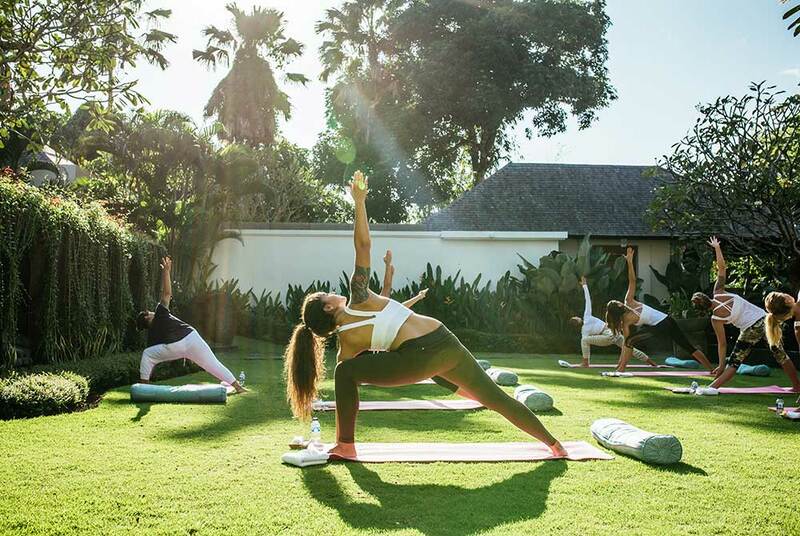 Most classes are 90-minutes long and taught in our purpose built air-conditioned yoga studio set amid tropical frangipani gardens. 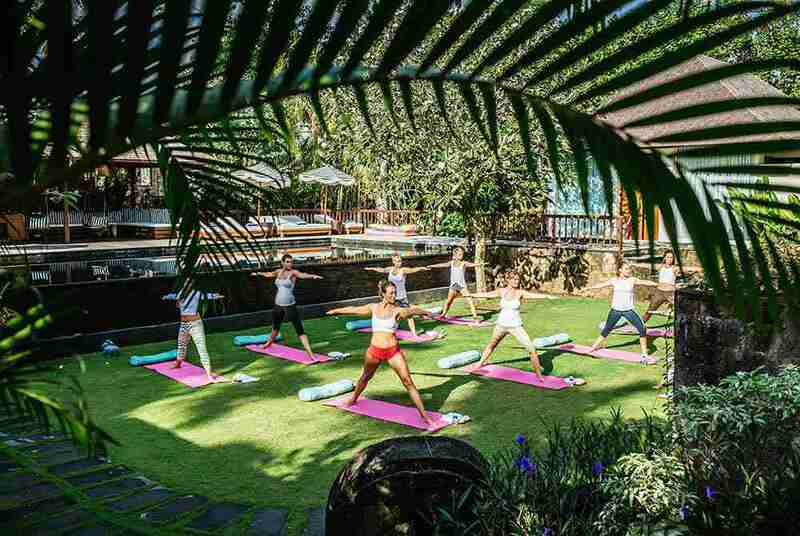 Our yoga retreat in Canggu has been designed so that each yoga and meditation session allows you to truly take time out to reconnect through the mind, the body and the soul. They have been tailored to complement your surfing or spa program and restore balance to the body before and after active days out in the sun and water. Yoga is inclusive for all people no matter what age, size or fitness level. Our yoga and mediation classes are suitable for all levels of experience from beginners to advanced; our retreat instructors will adapt poses to suit your ability. We provide all of your equipment, including yoga mats, bolsters, straps & eye masks. 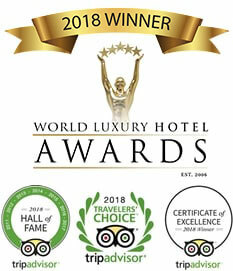 What do our Yoga Bali sessions include? 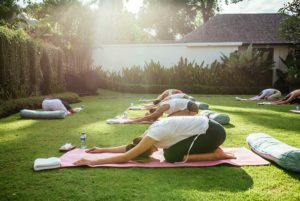 Escape Haven Yoga sessions include a blend of rejuvenating styles of yoga – Hatha, Vinyasa flow and Kundalini. On your yoga week with us you will be offered a wide range of yoga styles. Below is a brief description of a range yoga styles which may be on offer to help you select the classes which best suit your yoga aims. Please note these can vary dependant upon guest instructors. A guided mediation where you lay on the floor and relax. Deeply restorative and calming. Seated meditation, learning to quieten the mind through breath and focus. Extreme relaxation but strong stretching. Poses are all sitting or laying on the floor and typically are held for around 5 minutes each. A slower style of yoga where poses are held for 5 breaths or more to focus on alignment, breath and technique. 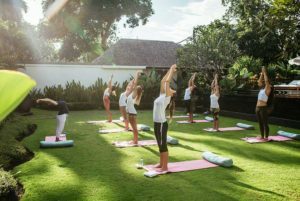 The birthplace of Vinyasa, this traditional Indian style of yoga combines Sun Salutation vinyasa with traditional yoga poses. Very breath focussed and ideal for al bodies and any one. Strong work but gentle in its approach! The most physically intense style on offer, this yoga combines fitness and yoga to make you sweat and give you a yoga full-body work out! In addition to the class styles above, we offer the Yoga Workshops below. These can be selected as part of your weekly program. Please note these can vary based upon guest instructor. A Yin style yoga journey designed to balance the seven chakras of the body. Learn what they are and how they relate to your wellness and vitality. Connect to your inner self; body, mind and soul. Take the time to ask yourself “How do I actually feel?” This workshop is a real education for anyone interested in learning about yoga philosophy and deeper energy work. A mixture between Vinyasa and Yin, this workshop is designed to bring space and ease into the shoulders, neck and back muscles. Ideal for surfers, SUP paddlers or anyone who suffers from tense shoulders. This workshop finishes with 30 minutes of fascia release; using tennis balls to self massage common problem areas on the shoulders, back and hips. Learn the basics of yoga breathing and take it into a traditional Ashtanga practice. This is a comprehensive tour of the Ashtanga Primary Series. Options to modify all poses to make the sequence less intense, or chances to power up for those seeking a challenge. Finish with a traditional Pranayama breathing exercise designed to bring vitality into the body and calmness to the mind. Learn the tale of Hindu monkey god, the great Hanoman, during this Vinyasa workshop designed to open the hamstrings, calves and hips. Hear about his bravery, loyalty and love and how they relate to your life. Follow this energetic and fun workshop to make leaps (or maybe just small steps) towards “Hanomanasana,” the full splits pose! Pranayama, the ancient practice of yogic breathing, consciously controls the breath, and enhances the flow of energy in the body. A regular pranayama practice increases prana (life energy), inviting greater mental clarity, heightened healing potential and deeper self-understanding. 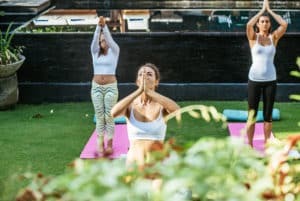 This workshop teaches pranayama techniques to fire up the metabolism, sooth the mind, balance hormones and find connection to the deeper part of yourself. Learn how to use the pranayama to lead you into a deeper meditation than you have ever felt before. This workshop balances learning the techniques of inversion poses with fun filled partner yoga. Learn about core strength, bandhas, stability, grounding and take each inversion step by step. Open to all levels from complete newbie to seasoned pro, work at your own pace to flip your whole world upside down! Working with a buddy you will have the support you need to find bravery and stability in these poses. Then together find deeper levels of stretch and relaxation by adjusting, supporting and stretching through connectedness with a new friend. Everything that is alive pulsates with energy. We carry with us the emotional energy created y our internal and external experiences – both positive and negative. Traumas are held within our bodies as physical or energetic blockages. So we must create a space to let these traumas go. Using Yin Yoga, self reflection and ritual, this is a journey to find surrender so we may energy lighter, brighter and more fully alive.